Website Links. Hope You’ve Gotten Them The “White Hat” Way! Google “Black Hat” Shoot-Out Wounds Thousands! In Google’s single minded quest to improve search quality over the course of 2012, it recently sent out over 700,000 “unnatural links detected” messages to webmasters employing “Black Hat” link building strategies with a serious warning shot: Clean up your site or it’s over! Whew, sure am glad I wasn’t one of those recipients! It is one of those times where building links the slow, hard, old-fashioned way is starting to look good for myself and my clients. So what are the top never-out-of-favor “White Hat” link building strategies? If you follow these you should be fine. Spend the time to create content that is valuable to your audience so that you may be rewarded with quality links. Don’t buy private label content or republish existing content. 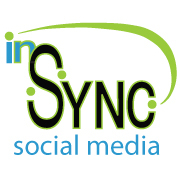 Start actively taking part in discussions on your local and industry blogs and forums. Don’t register with hundreds with no intention of actually participating. It is a form of spam. Create your brand online by focusing less on keywords and more on branding by ensuring every link building effort ties back to your website and branded social media channels. Don’t waste your time creating keyword rich domains and social media profiles. 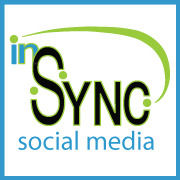 Set up your branded social media profiles and include share buttons on your blog. Start following and friending users in complementary industries. Share their content, build relationships with your followers, and ask them to share your content. Don’t use your social media channels for pure self promotion. Anything that sounds to good to be true IS. Don’t use SEO services that don’t offer transparency in their methods or offer hundreds of backlinks overnight. 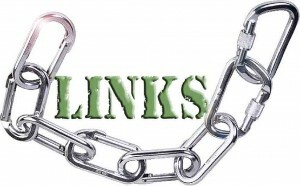 If you do, one of Google’s “unnatural links detected” messages could soon be on its way to you! Spend the time to create content that is valuable to your audience and don’t buy private label content or republish existing content. Why Is Social Media So Important For a Small Business? What is Happiness for a Marketing Agency?